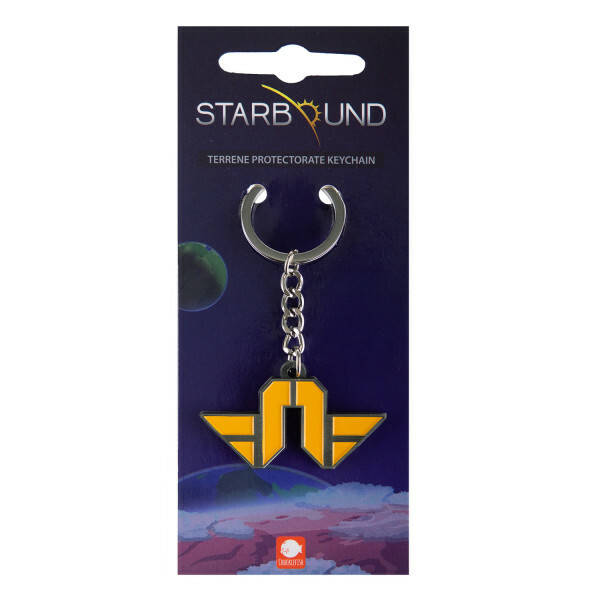 This stylish keychain shows the logo of the "Terrene Protectorate" from Starbound. Made of metal with lacquer applications. Approx. 5cm in length.